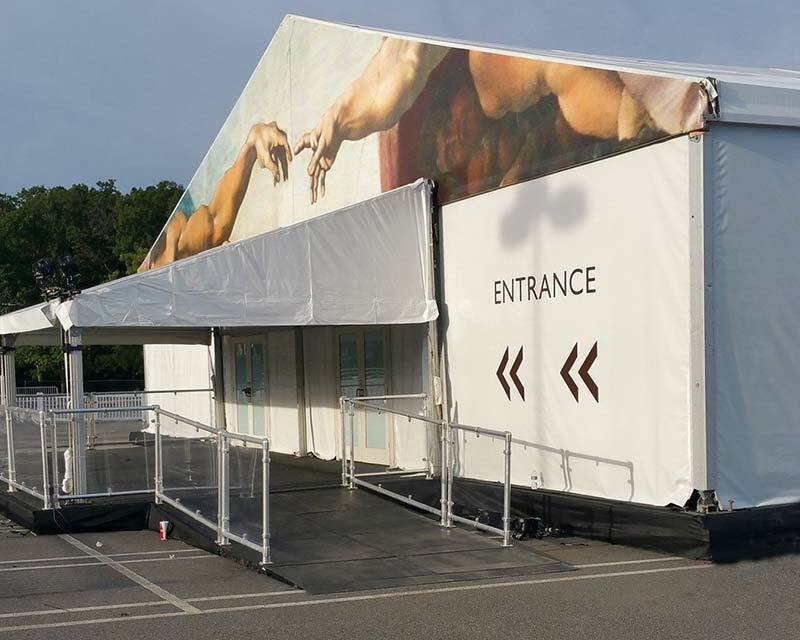 Fred’s Tents is proud of their recent IFAI Award – Best Custom Graphics Supplier. 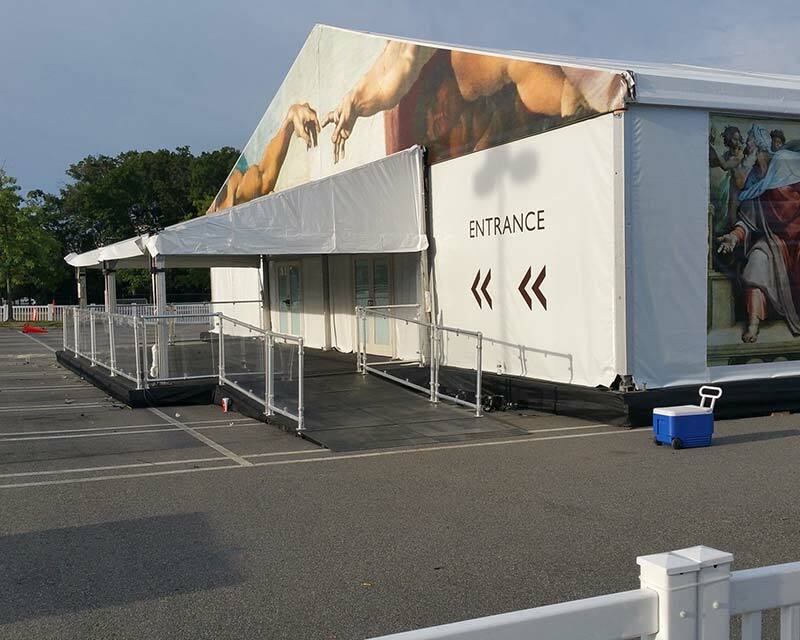 We work closely with our customers to provide the creative look they desire. 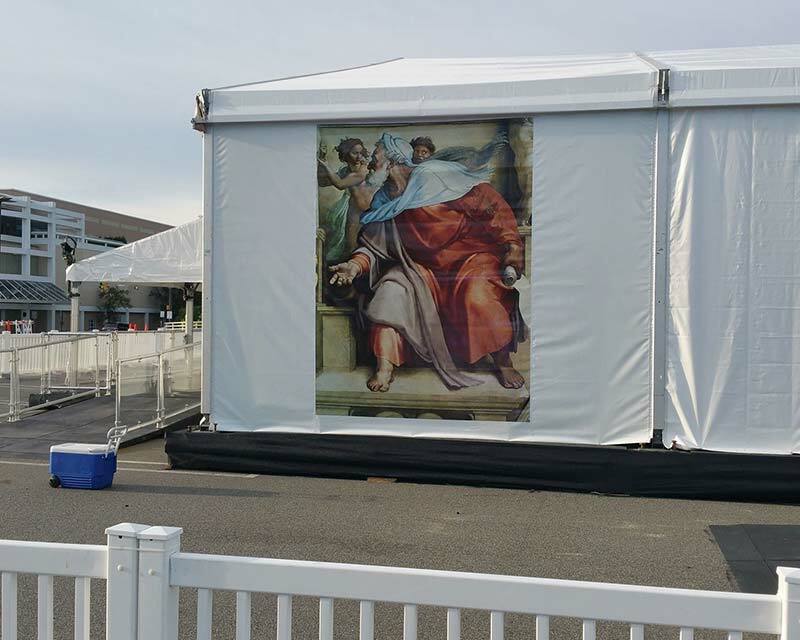 The Sistine Chapel project is just one example of our many print projects. 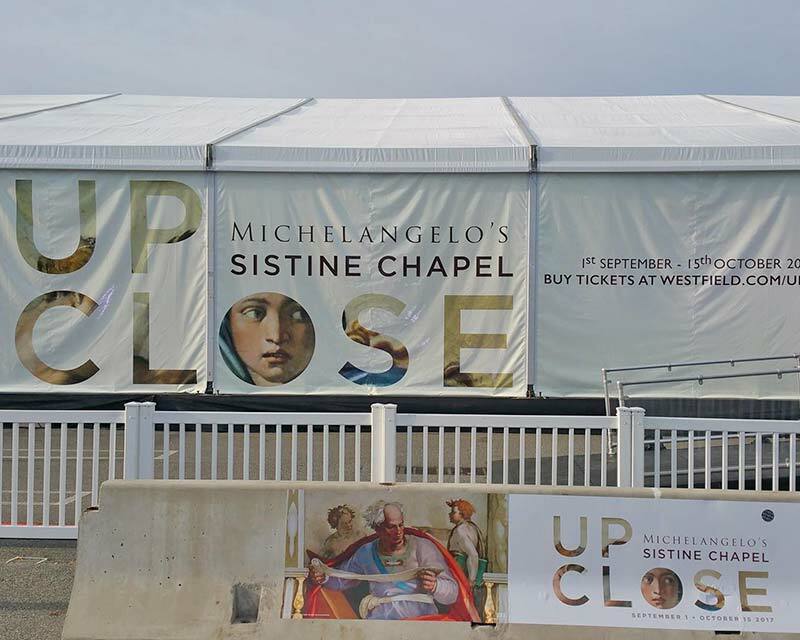 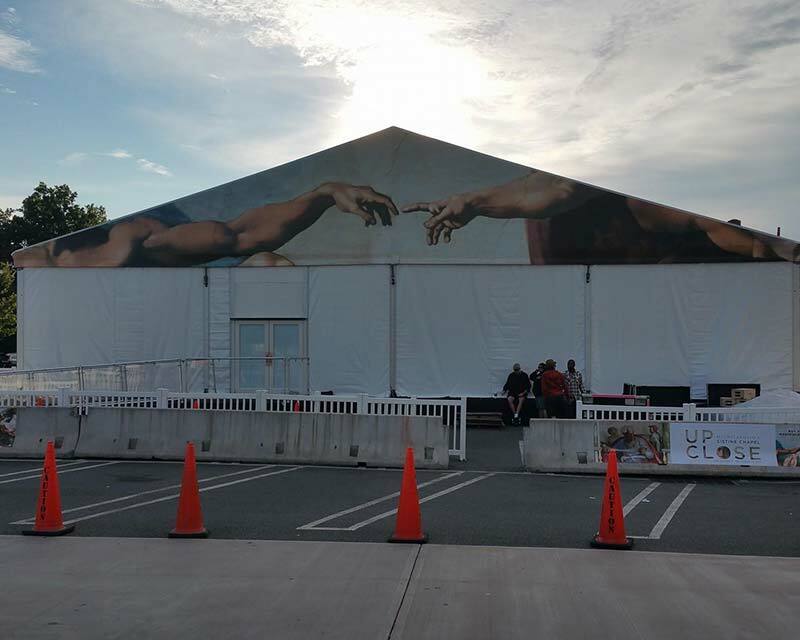 The custom print was created for a touring exhibition of replicas of some of Michelangelo’s most iconic work.